Websites Implement A Lot Of Basic Features. One Feature That Has Become Standard Is The Inclusion Of Favicons In The Web Browser. Favicons Are Small Icons Placed In The Address Bar Right Next To The Website Address Or On The Tab Using The Website. All Current Web Browsers Universally Support The .ico Favicon Format, And There Is Growing Support For Other Formats Such As .png, .gif, .jpg, And .apng As Well. Browsers That Support A Tabbed Document Interface Typically Show A Page’s Favicon Next To The Page’s Title On The Tab. Since Their Creation, Favicons Have Taken Off In Popularity For A Variety Of Reasons. They Allow The User To Instantly Recognize The Website They Are On Based On The Website’s Trademark Logo. With More Larger Name Companies Like Youtube, Google, Facebook, And Yahoo! Coming Into The Fray, It Is Very Likely That The Average Internet User Knows What Many Of These Icons Look Like. Thus, It Allows The Consumer To Recognize The Website Quickly And Easily. People Pay For Professionally Designed Favicons. There Are Also Websites, Such As Freefavicon.com And Tools.dynamicdrive.com/favicon, That Provide Free Tools To Make Favicons. 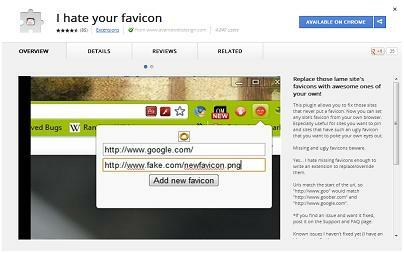 Websites Such As These Show The How Popular Favicons Have Become. Favicons Were Created So When Users Added A Website To Their Favorites Or Bookmarks, The Website Would Have A Small Icon Next To The Website Url On The Favorite Or Bookmark List. This Saves Time When Users Are Browsing A Large Bookmark List. Since Then Favicons Have Evolved Into Much More. When Browsers Have Many Tabs Open, Browsers Often Condenses The Size Of The Tabs. This Creates A Situation Where The Favicon Is Effectively The Only Way To Navigate The Large Amount Of Tabs. If A Website Does Not Have A Favicon It Would Be Up The User’s Memory Where The Tab For The Website Is. This Is Especially True On The Opera Internet Browser. There Are Several Browser Customizations That People Use That Revolve Around Favicons. 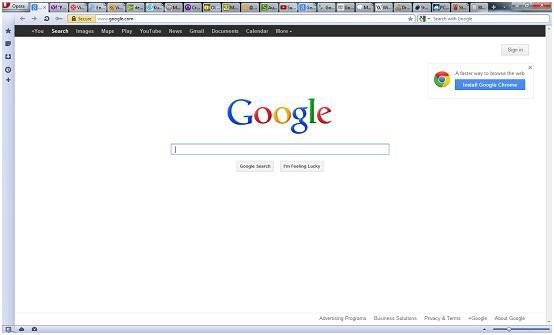 On The Google Chrome Browser, Users Are Able To Right Click On A Tab And Permanently Pin Favicons. This Creates A Very Convenient Shortcut For Users. The More Accessible Websites Are, The More Potential Traffic The Site Can Receive. There Are Many Extensions That Take Advantage Of Favicons. The “I Hate Your Favicon” Extension Is One Example. This Chrome Extension Allows You To Change Any Favicon To Your Liking. The Name Of This Extension Also Highlights An Important Issue With Favicons. If Users Don’t Like The Favicon A Website Uses, They Often Hate The Look And Feel Of The Website. Favicons Should Accent The Style Of The Website, And Shouldn’t Serve As A Nonverbal Deterrent. Favicons Are An Opportunity To Increase Brand Logo Recognition. When People See The “Yahoo!” Favicon, For Example, They Can Rest Assured That They Are Legitimately At The Yahoo.com Website, And Not A Phishing Website. Today, Small Devices Like Smartphones And Tablets Have Been Adding Support For Favicons. When A Favicon Is Not Presently Available, A Thumbnail Of The Webpage Is Typically Used In Place. Some Common Browsers Stopped Using The Favicon In The Address Bar, Because It Is Believed That This Place Should Be Used To Show The Type Of Page, Instead. Favicons Have Become So Prominent On The Internet The World Wide Web Consortium (W3C) Have Created Standards In Creating And Implementing Them. Because Of The Sheer Prominence Of Favicons, Visitors Of Websites Can Think That Sites Are Quite Dated If They Don’t Implement One. As Anyone Who Has Assess The Value Of Favicons Can See, Favicons Are Very Important. Next story How Many Items Should a Menu Have? Previous story How many advertisements should a website have?